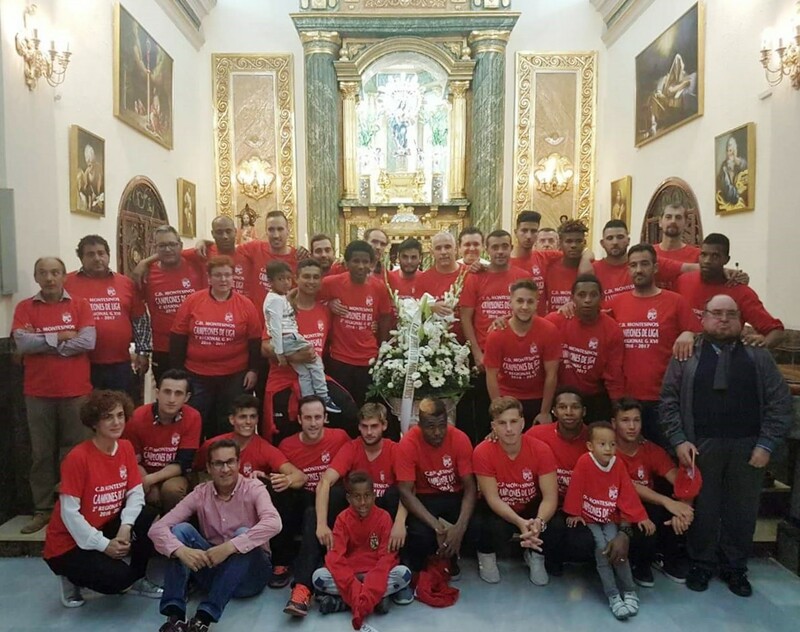 Mayor Jose Butron (front/pink shirt) celebrates CD Montesinos promotion to the 1st Regional in the town’s Church. 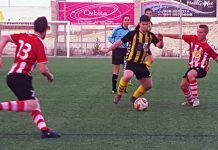 Los Montesinos celebrated the 2nd Regional Championship success of CD Montesinos in style – with Church and Ayuntamiento acknowledgements – as part of the Vega Baja town’s celebrations. 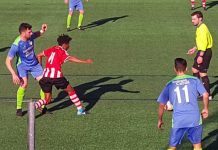 Hundreds of supporters applauded the team as they walked on to the pitch hand-in-hand with mascots in the final game of the season against Grupo Caliche, through a ‘guard of honour’ of young players and the sporting Grupo Caliche team, as the town band played to fireworks. 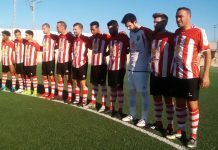 After Sunday’s 2nd Regional final game of the 2016-17 campaign against Grupo Caliche – in which nearly 700 supporters packed into The Municipal Stadium – celebrations continued, with free tapas and drinks for all, with presentations of all of the club’s teams, including the Youth teams, taking place. 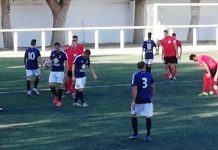 After the 7-1 win against Grupo Caliche the CD Montesinos squad, lead by coach Carlos Perez, were centre stage as they sang ‘Campeones’ – Champions – to the applauding crowd. The players, management and staff then walked through the town to applause and cheers, to make a floral tribute at the town’s Church, followed by a Town Hall balcony ‘tribute of honour’. 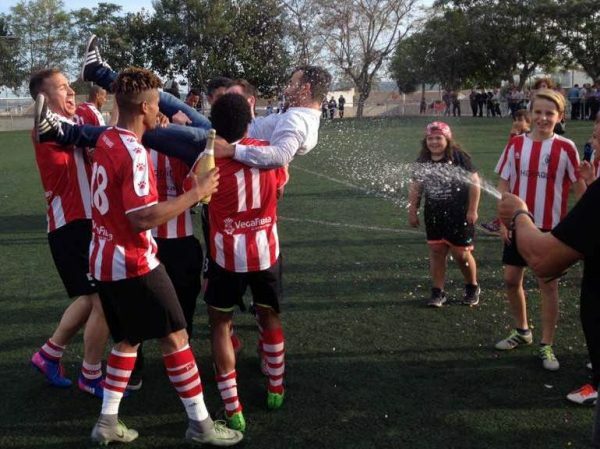 CD Montesinos Presidente Felipe Parades gets drenched with champagne as the players throw him into the air! 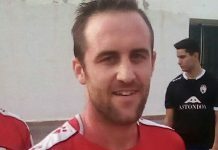 Club Deportivo Montesinos clinched the 2nd Regional Group 16 of the Valencian League, España, Championship, achieving promotion to the 1st Regional Division for the first time since 1975, under the leadership of coach Carlos Perez and Presidente Felipe Paredes, underlined with a hard working Committee and The Full Monte Supporters Club. 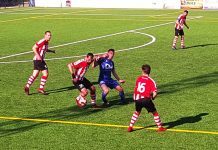 The club played at the 1st Regional level in 1975, when Los Montesinos were administratively part of Almoradi. 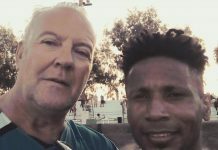 In 1976 the club moved to the Los Montesinos Municipal Stadium, where 110,000 euros has been spent this year in a refurbishment, that including a new stand. 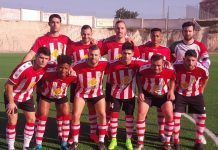 “The town of Los Montesinos are very proud of the football club’s achievements. 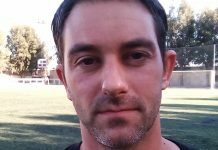 On behalf of everyone congratulations go to out to them,” Los Montesinos Mayor Jose Manuel Butron told The Leader. Next articleARMONIA DE IFACH LODGE PRESENTS NEW SAFETY GEAR TO FIREFIGHTERS.